King & Wood Mallesons’ global litigation head is apparently mulling a move to the London office of US giant Covington & Burling. Separate reports from UK publications Legal Business and Legal Week say that Craig Pollack, one of the biggest billers in KWM’s City office, is “in talks” with the US big law firm. 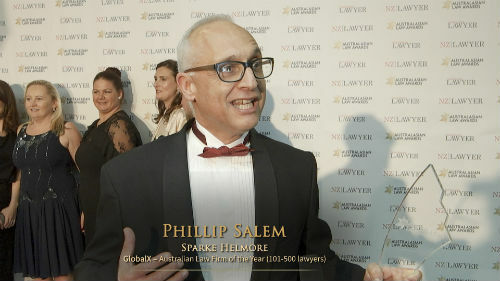 Pollack has been a long time fixture at the firm’s London operations, joining legacy SJ Berwin in the early 1990s and being appointed KWM’s global litigation and disputes resolution head after the merger in 2014. Currently, Pollack acts for major investment banks, hedge funds, public companies and high net worth individuals and specialises in complex commercial litigation, international arbitration, multi-jurisdictional disputes, regulatory investigations and banking and financial market disputes. If he leaves, he follows other KWM litigation lawyers who have moved to Covington & Burling. In September, former KWM disputes resolution partner Greg Lascelles moved to the US firm. Alex Leitch who used to head the London litigation team of KWM also joined the US giant last year. Pollack’s possible move also comes hot on the heels of KWM big-biller Michael Halford’s defection to Goodwin Procter, followed by news of funds partners Ajay Pathak, Ed Hall, Shawn D'Aguiar and Patrick Deasy also joining the US big law. Other US giants have also been raiding KWM’s European ranks. Proskauer Rose, for example, have snapped up corporate finance partner Andrew Wingfield and former managing partner Rob Day. KWM’s European arm is in deep trouble, which you can read more on following the links below.